Human rights watchdog Amnesty International has criticized a Bahrain court decision to jail 50 Shiite activists for up to 15 years in a mass show trial, calling the verdict "appalling" and urging a probe into reports that some activists were tortured. 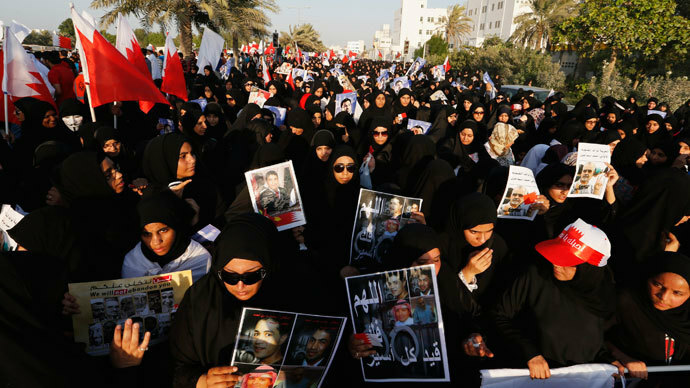 "It’s appalling what passes for ‘justice’ today in Bahrain," Amnesty International Middle East and North Africa director Philip Luther said, as quoted by AFP. The court sentenced the activists on Sunday, including a prominent Shiite Iraqi cleric who was sentenced for forming a secret opposition group. The activists were charged with allegedly organizing the ‘February 14 Revolution Youth Coalition’ and trying to topple the country’s constitutional monarchy by organizing bombings and inciting anti-government rallies. The Sunni-ruled kingdom equates the opposition group with terrorism. "The authorities simply slap the label ‘terrorist’ on defendants, and then subject them to all manner of violations to end up with a ‘confession,’” Luther said. Some of the charges included "training elements to commit violence and vandalism" and "attacking security men." 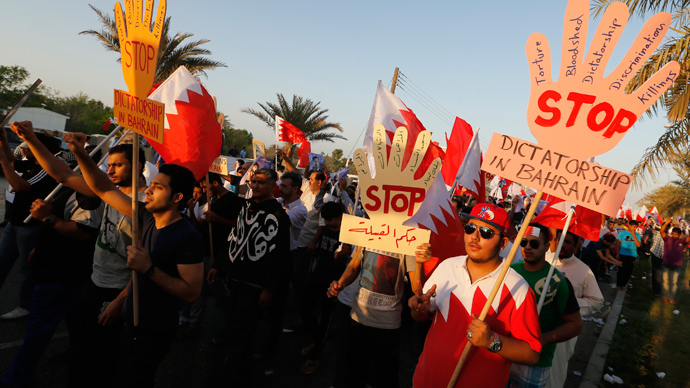 The accusations further state that "terrorism was among the means used" by the group, which also had "contact with a foreign state.” This is reportedly referring to Shiite powerhouse Iran, which Bahrain believes is meddling in its affairs. Twenty of the activists were reportedly convicted in absentia. Sixteen of the activists received 15-year sentences, four were jailed for 10 years, and the other thirty received five-year terms. Amnesty International stated that there are claims that some of the activists were tortured, and urged for a prompt investigation into the matter. "The allegations that confessions were extracted under torture must be investigated promptly, thoroughly, and independently, with those responsible brought to justice," said Luther. 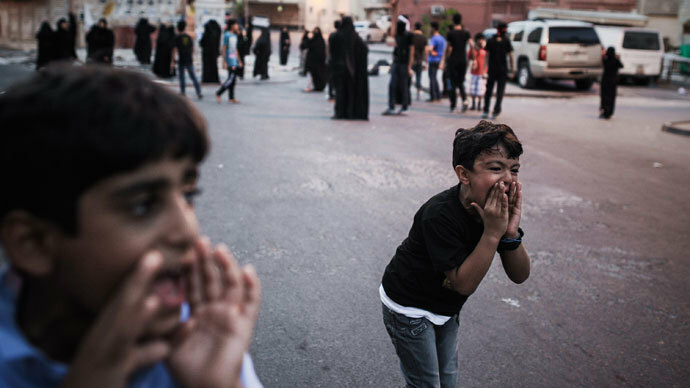 Earlier in September, Human Rights Watch accused the Bahraini government of violence and torture, with frequent reports of child protesters facing extremely harsh conditions while in custody. 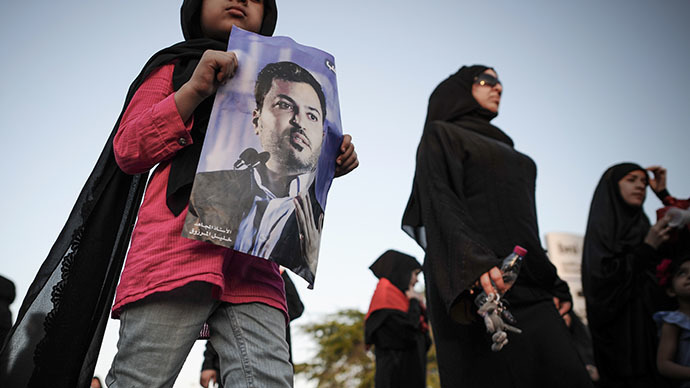 The Gulf state is a predominantly Shiite country and has seen frequent unrest since authorities cracked down on the popular uprising against the ruling Sunni monarchy in 2011. Human rights organizations have accused the West of turning a blind eye to the crackdown. 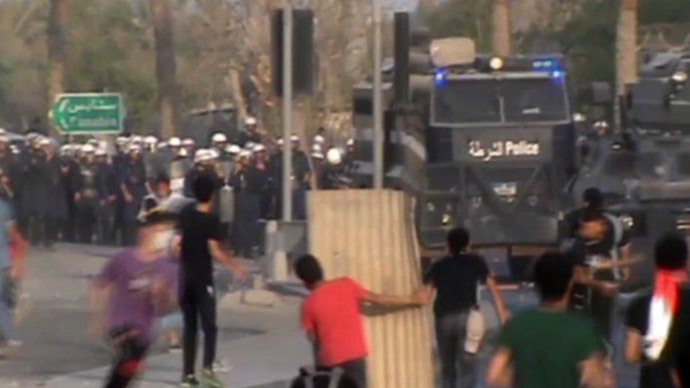 Bahrain, a small island nation and home to the US Fifth Fleet, has seen 80 people killed since the protests erupted, according to the International Federation for Human Rights. Hundreds more have been arrested.